Heat a sauce pan with the olive oil and add the onion, garlic and zucchini. Let this sauté for about 1 minute. Add the chicken broth, lemon juice, fresh basil and seasonings. Simmer this on low until the zucchini become soft and the onion is transparent. This will take about 30 – 35 minutes. 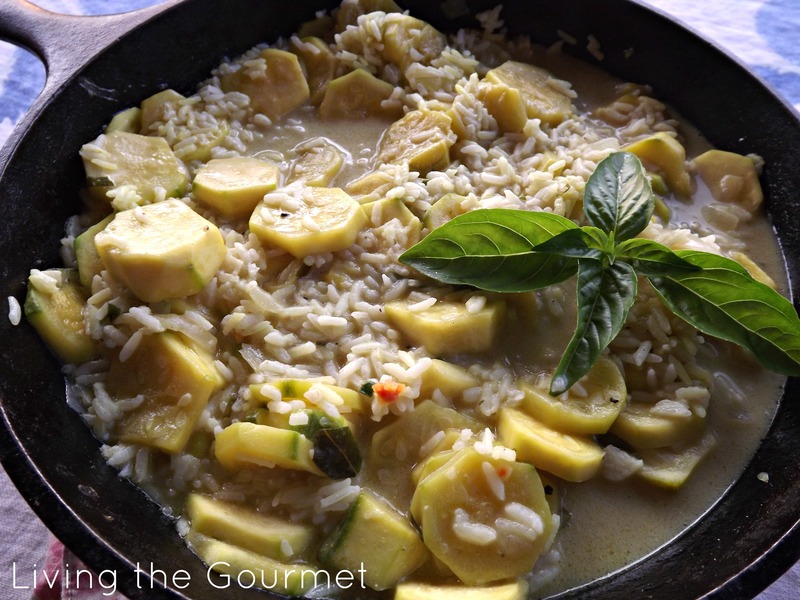 Add the coconut milk with the zucchini is cooked. Simmer for another minute or two and adjust the seasonings to taste. Prepare the rice as directed.